Click here to read the entire story. 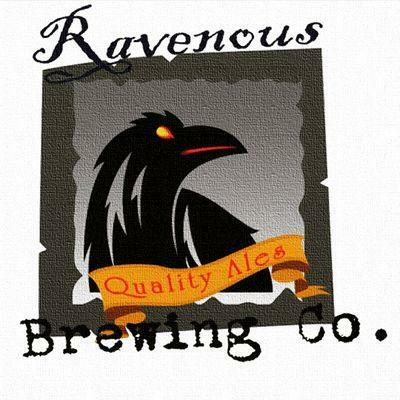 Woonsocket’s own Ravenous Brewing Company has some exciting news! Dorian Rave, the owner and brewer, has made the decision to move into brewing full-time! A big congratulations and good luck to him! In our column in the new/out-today issue of Motif, we asked the state’s beermakers to tell us about the immediate impact on their thriving small businesses; we received insightful intel from four of them [the rest of the brewers didn’t respond because they were sequestered in a secret cave on the banks of the Scituate Reservoir, working on their new collaborative brew, Hopcone of Silence™, which will be released on September 31]. Click here for the html version and/or click here and flip to page 6 for the Virtual Newspaper Experience. 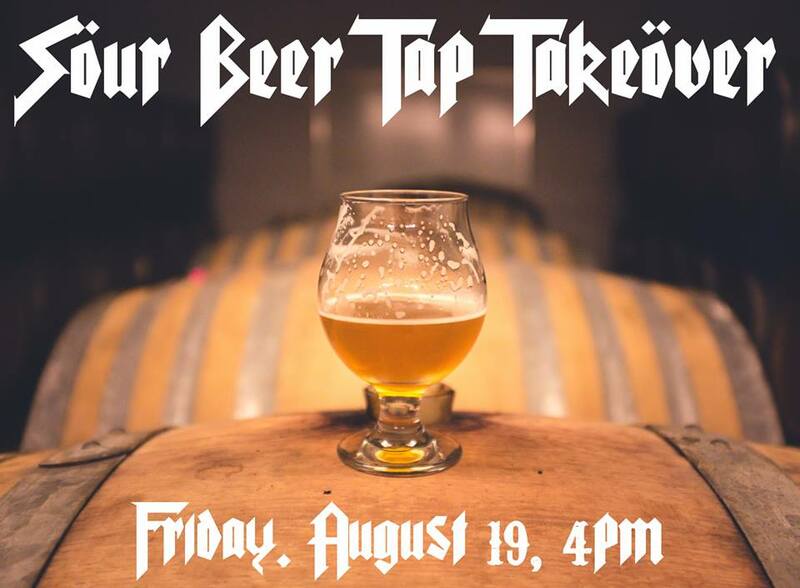 A year ago, Norey’s [156 Broadway, Newport] hosted a tap takeover titled “Sours & Lambics From Around the World.” It was a rousing success, so they’re doing it again! The 2016 edition kicks off on Friday [8.19] at 4 pm [and continues till the kegs run dry], with more than a dozen taps featuring puckery goodness from the likes of Hanssens Artisanal, OEC, Mikkeller, and Birrificio del Ducato. 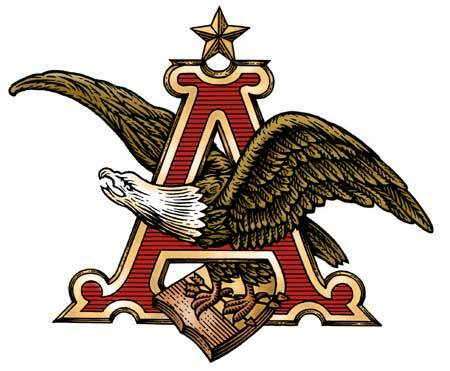 Click here for the complete beer list. Read all about it: beer bashes and more. 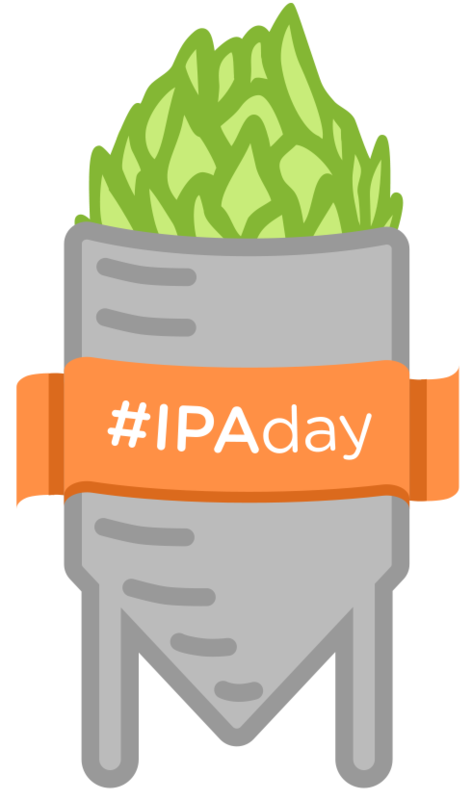 Plus, today is IPA Day! In our column in the new/out-today issue of Motif, we wrote about this weekend’s big beer bashes — the 2nd Annual Providence Food Truck & Craft Beer Festival at India Point Park, and Foolproof’s fourth Augtoberfest, both on Saturday [8.6] — plus Pints for Paws, the fund-raiser for the Providence Animal Rescue League to be held at Pizza J on August 14 [plus other tidbits]. Click here for the html version and/or click here and flip to page 7 for the Virtual Newspaper Experience. *Another* new beer from ’Gansett: Have a Hefeweizen! On Monday 7.25, we told you about Narragansett’s new America’s Cup 2017 Bermuda-Style Pilsner, and waaaay back on 6.27, we broke the news about White Ship, the fifth entry in the Lovecraft Series. This week brings another new brew: Hi-Neighbor! Have a Hefeweizen! 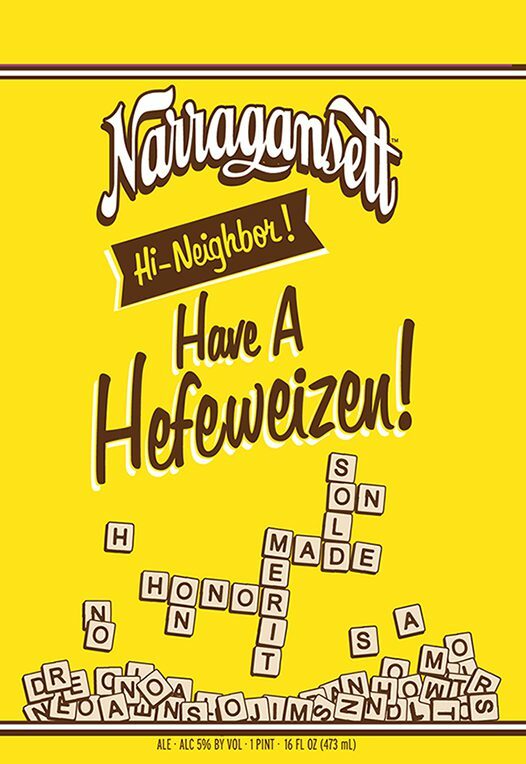 Here’s the backstory from the label: “Narragansett Beer has always been shared over good times with friends and family, and our local friends at Bananagrams, Inc. feel the same way about their games. Ten years ago, Rhode Island native Abraham Nathanson was looking for a faster-paced tiled wood game to play, and at the young age of 76, he and his family created Bananagrams at their home in Narragansett. “When we heard Bananagrams was celebrating its ‘10th Bananaversary,’ we knew that a traditional Hefeweizen was the perfect beer to compliment the occasion, This wheat beer is left unfiltered, which gives it its subtle trademark flavors of banana and clove that are true to style.